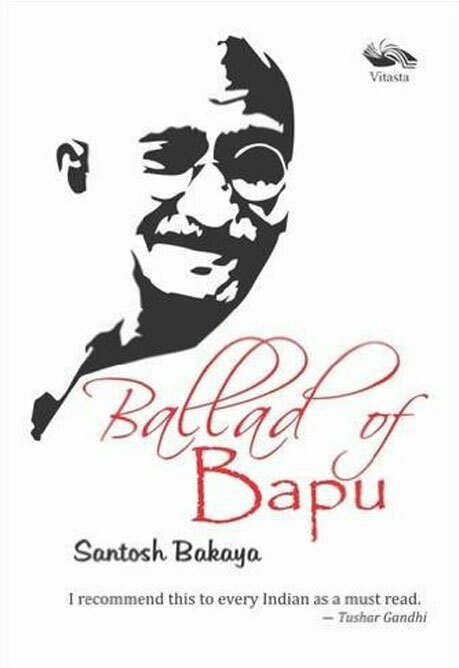 Santosh Bakaya is the first of Gandhi's innumerable biographers to envision his life as a poetic saga. In the Ballad of Bapu, she has produced a tour de force that spans his life, including many little- known episodes. Her exuberant language brings Gandhi's spirit vividly to life like never before, and explores the varied potential of Indian English beautifully. We get the full flavour of how the ordinary human being, Gandhi, with his extraordinary nonviolent ways, helped to create a great India; a shining example for the world to follow. An academician, Santosh Bakaya's writings have been published worldwide. Her mystery novels, featuring the Razdaan kids, were quite a rage in the nineties. With a doctorate in political theory, it is the practice of life which has always enthralled her, finding expression in her essays and poems, published in national and international anthologies. Her articles on Mahatma Gandhi and Martin Luther King Jr have figured in reputed journals. Her collection of essays, Flights from My Terrace, was recently published as an e-book. Her poems have made it to the highly commended category in Destiny Poets website and in Pentasi B World Friendship Poetry. She also won the Reuel International Award for Writing and Literature 2014, for her long poem, Oh Hark!